The front-wheel-drive Mazda6 might be the world's most under-appreciated midsize sedan, a class dominated by Honda, Toyota and Ford with the Accord, Camry and Fusion. Sleek and evocative, the Mazda6 is the most eye-catching among them, with roadside manners as good as any of them. Mazda6 was redesigned for 2013, refreshed for 2016. The 2017 Mazda6 gets some minor updates, including the Mazda Connect infotainment system now standard. 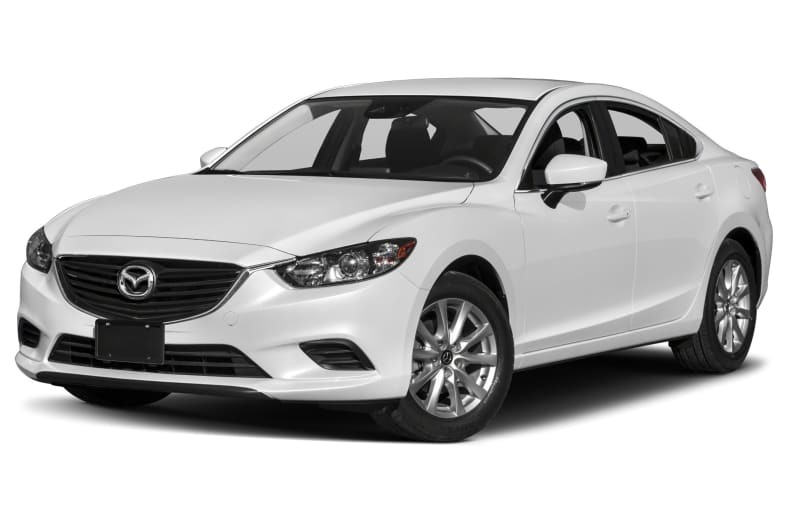 Mazda6 comes with one engine, a 2.5-liter inline four-cylinder with So-called SkyActiv technology such as direct injection, variable valve control, and a very high 14:1 compression ratio (in pursuit of fuel mileage), making 184 horsepower and 185 pound-feet of torque. A 6-speed manual gearbox is standard, a 6-speed automatic available. Its light weight of 3200 pounds gives the Mazda6 some zip. The ride is firm and sporty, the steering direct and communicative. There are clear bloodlines to the brilliant Mazda Miata. For 2017 Mazda6 gets the G-Vectoring Control system of computer-controlled braking of individual wheels in corners, bringing increased stability and composure to the handling. With the automatic transmission, the Mazda6 gets 26/38 mpg City/Highway, or an EPA-estimated 31 miles per gallon Combined. With the optional stop/start and a regenerative-energy system called i-eLoop, it can get up to 40 mpg Highway. With the available automatic emergency braking, the Mazda6 is rated a Top Safety Pick+ by the IIHS. In the rollover test, NHTSA gives it a 4.